Thank you so much, Sweet Indy and Sweet Lucy and your Mama for the prayers!! They mean so very much to us!! 💙!!!! We are so sad. My daughter left me a message on my phone about Stuart. I was unable to understand the message until I called her back. Obviously, Stuart made a lasting impression on her. She doesn’t comment on the site, bu she does to me. Stuart was the start of my reading blogs. Our prayers and thought are with Mac and Stuart tonight. 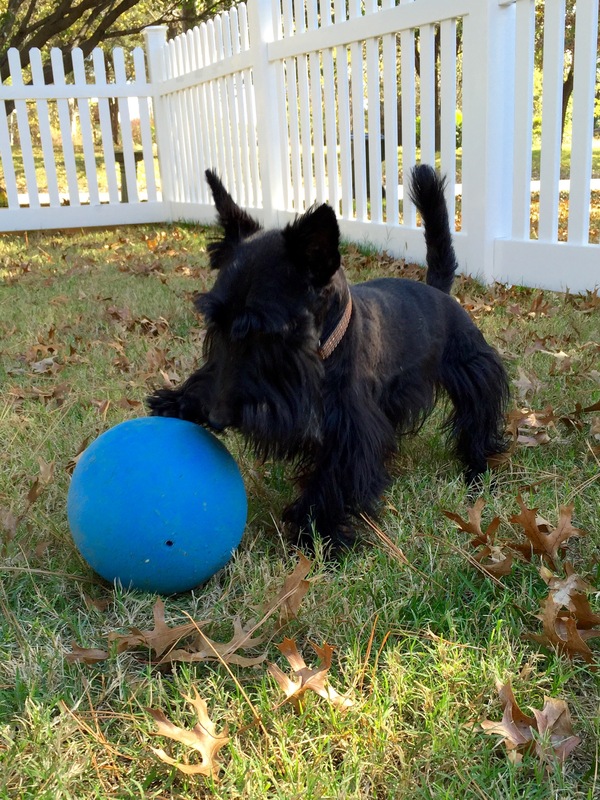 Stuart was my first Scottie blog too and then Ranger. For some weird reason, I cannot comment on Ranger’s blog or Sully’s, a Texas Scottie or I should say I can comment but it gives me a different identity. I can help with that-send me an email if you want it. My address is on my about page. Sorry for your friends–sending special thoughts and prayer their way; Lucy, I love when you use the phrase”just sayin”- it’s like your not tattling, just stating a comment, but I notice you always come out looking good! You noticed, huh? 😊😊😊 Oh, by the way, Mom says congrats on winning that Radley watch. Prayers for the two ill Scotties from South Africa. Good thing you were helping Dad Lucy, boys have a very short attention span. Paw Bump. Finally, someone who understands me. We are very, very sad about Stuart and Mac! We are praying very hard that they not suffer and that they will get better! It is a terrible thing! We are praying very hard for their recovery! We are so sorry! 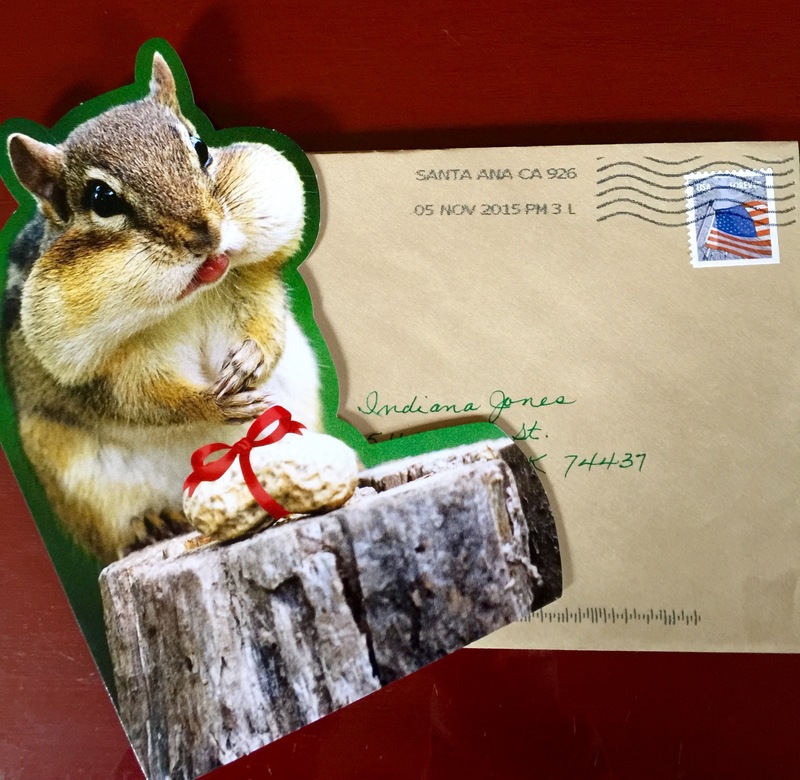 We love the Squirrel Birthday card for Indy! We are a little confused. We do not know how to tell you two apart, so is Lucy bragging that she helped Dad with the fence, but that Indy decided to play ball instead? 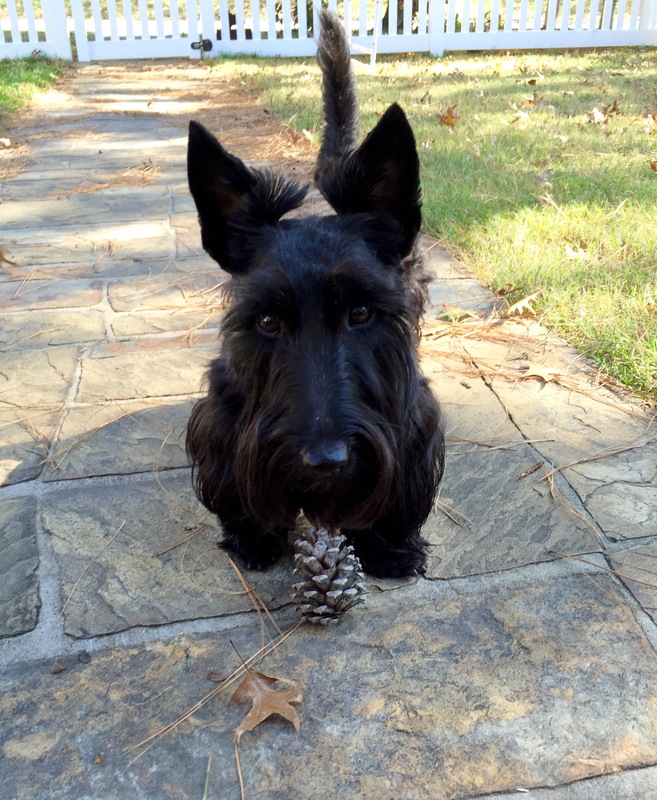 If you helped with the fence, Lucy, then why is there a a picture of you with a pine cone in front of you. It looks like you had been playing with that pinecone, not helping with the fence. Is there any evidence of you helping with the fence? Just sayin…. We’ll have to take your word for it and not think that you are making up stories about your bro. We love you both whether you played or helped Dad with da fence! I knew about Stuart, but I didn’t know about Mac. Sorry to hear that. Thanks for letting us all know, you two.